Up to 4 FREE Perks! Expires: May 01, 2019 Get This Deal! For a limited time, book a 4-night or longer cruise vacation now through May 1, 2019 and the choice is yours. From value to convenience, there are three amazing options to Sail Your Way. Choose a non-refundable deposit offer and get one additional perk. Togetherness - Everyone gets to enjoy downtime during the holidays to spend with those who matter most. Award-winning Dining - Sumptuous holiday meals—from appetizers to desserts—are created by a James Beard-featured chef. Entertainment - Festive holiday shows, entertainment and carolers will get everyone in the spirit. Traditions - Santa will be on board to bring gifts to all the kids and the halls will be decked to perfection. Special Promotion: Reserve This Cruise April 4 - May 1, 2019 and Receive Lowest Available Cruise Fare Or Choice of Cruise Fare Including Perks. Save up to $1,000 on Galapagos Vacation Packages! *Prices are per person, cruise only, for stateroom category 8 or Y, select sailings and based on double occupancy. Cruise must be booked Apr. 4th through May 1st, 2019 (the “Offer Period”). 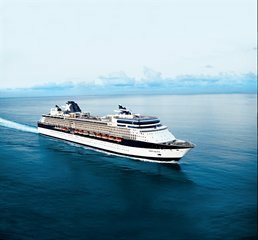 Offer applies to select 4-night and longer cruises departing 05/04/19 – 04/30/21. Offer excludes Galapagos cruises. Eligible sailings listed here. Full deposit must be paid by deposit payment required due date. Standard full deposit penalty is applied if booking is cancelled within final payment period; see Celebrity’s cancellation policy for details. 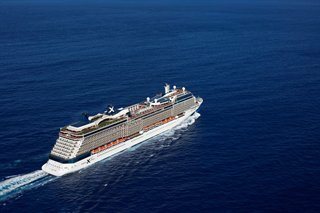 Non-Refundable Deposit Offer: To qualify for the lowest available cruise fare, guest must choose a non-refundable deposit on sailings departing 05/04/19 – 04/30/21. 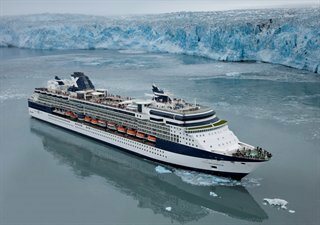 Non-refundable deposit booking (“NRDB”) cancelled prior to final payment due date will receive a future cruise credit in the amount of the deposit minus a $100 per person service fee. FCC is non-transferable and expires after 12-months from issue date. 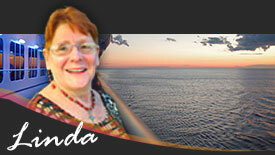 $100 per person service fee applies to changes to NRDB ship or sail date. Applicable to groups at prevailing rates. Not applicable to incentive, contract, or charter groups. Nonrefundable deposit offers are not applicable to sailings within final payment. Visit [insert URL for NRP Full terms and conditions] for additional terms and conditions. 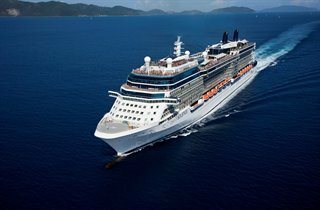 50% Off Savings: Savings applies to the cruise fare of the third and fourth passengers booked in any stateroom category type. Not applicable to Cruisetours. Perks Included Offers: Each of the first two guests in a qualifying inside, ocean view, veranda, Concierge Class, or AquaClass stateroom are eligible to receive two amenities with the choice of a “Two Perks Included” rate: Classic Beverage Package, Unlimited Internet Package, $150 per person onboard credit (“OBC”), or Prepaid Gratuities. For an additional charge, guests may receive four amenities with an upgrade to the Premium Beverage package by selecting the “Four Perks Included” rate. Rate varies by length of voyage and stateroom category. All guests in the same stateroom must select the same options and provide Celebrity with the selected options at the time of booking. Promo codes are not required. 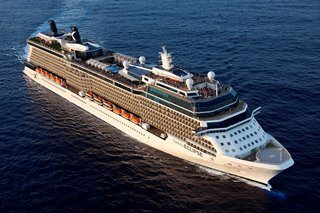 Each of the first two guests in a qualifying suite booking are eligible to receive four complimentary amenities: Premium Beverage Package, Unlimited Internet Package, $150 per person onboard credit (“OBC”), and Prepaid Gratuities. Guests with Internet Packages will receive instructions for Internet access in their staterooms on the first day of the cruise. OBC option: Guests’ onboard account will be credited with an OBC. OBC has no cash value, is applicable to cruise only, non-transferable, not redeemable for cash, and will expire if not used by 10:00 PM on the final night of the cruise. 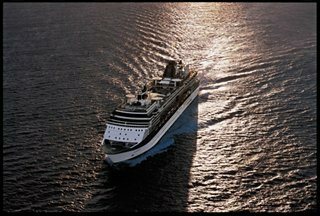 Prepaid Gratuities option provides for prepaid stateroom, waiter, assistant waiter, and headwaiter gratuities in the amount suggested by Celebrity’s guidelines. Gratuities will be applied to the reservation within 10 days of booking date. Offer applies to new individual bookings and to staterooms in non-contracted group bookings, which must be named and deposited during the Offer Period. 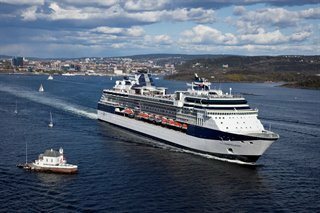 Offer is capacity controlled, availability varies by sailing, and eligible staterooms may sell out. All offers are non-transferable and applicable only to the Offer Cruise. Offer is not combinable with Exciting Deals, Interline, Senior, Loyalty, Resident, Net, Travel Partner, and/or Employee Rates. No refunds or credits will be granted for unused options. Offer and prices are subject to availability and change without notice, capacity controlled, and not applicable to charters or contracted groups. Single occupancy bookings are eligible for the Offer. Changes to booking may result in removal of Offer. Travel Agents: Group bookings that are named prior to the start date of the Offer cannot be cancelled and rebooked under this Offer. 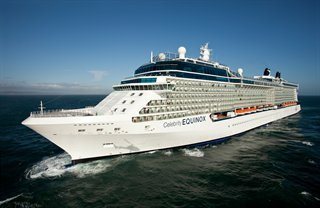 Refer to celebritycruises.com and the Cruise Ticket Contract for additional terms and conditions. Celebrity reserves the right to cancel the Offer at any time, correct any errors, inaccuracies or omissions, and change or update fares, fees and surcharges at any time without prior notice. 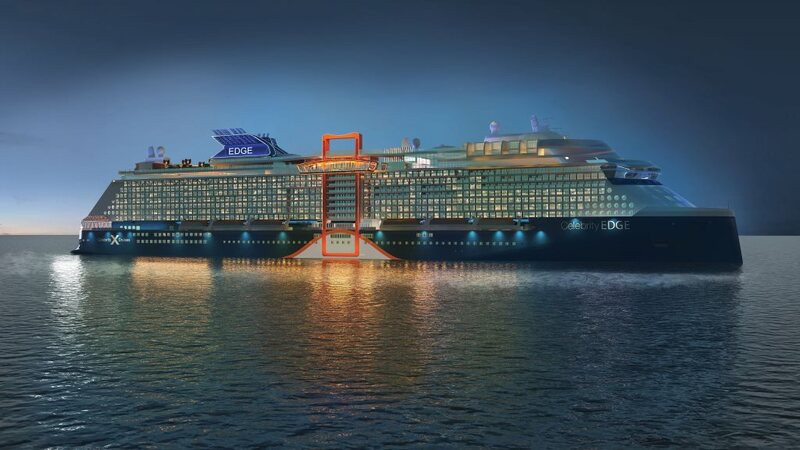 ©2019 Celebrity Cruises. Ships’ registry: Malta and Ecuador.